Card activation requires you to call from your primary phone number of record and verify the last 4 digits of your Social Security Number for activation and PIN selection. Note: You are only prompted to select a PIN on the initial activation of a new card open. You can change your PIN from any smartphone. You must know your current PIN in order to change the PIN via phone call. 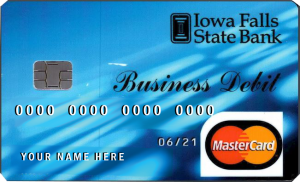 A debit card with built-in microchip technology. Chip card technology means your debit card has an embedded microchip that provided increased protection against fraud. Yes, for the foreseeable future. 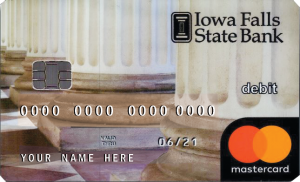 Your new chip card will be issued with a chip on the front and the familiar magnetic stripe on the back of the card. This will enable the card to be used in magnetic stripe terminals as well as chip-enabled terminals. The new chip on your card provides additional security when used at a chip-enabled terminal. Data stored on the chip is more difficult to counterfeit. The biggest benefit of chip cards is found in their increased security features. Plus you’ll enjoy greater acceptance when traveling, as chip cards, are common in over 130 countries around the world, including Canada, Mexico, and the European Union. Purchases are deducted directly from your IFSB checking account. You make purchases anywhere Mastercard debit cards are accepted. Access multiple checking and savings accounts at IFSB with just one card. You have access to ATMs worldwide. You have access to your funds 24 hours a day, seven days a week. To Go Card for prepaid convenience – a prepaid reloadable cash card. It is not a credit card yet it’s good anywhere MasterCard is accepted. The To Go Card is replaceable so its safer than cash and a great way to manage your finances. Use in-store, online and anywhere MasterCard is accepted, including ATMs. Low monthly charge lets you avoid painful check-cashing fees. Access your account history and balance online or by phone. Spend only as much as you put on your reloadable To Go Card. An efficient, convenient way to auto-deposit payroll. These cards are a convenient way for your business and employees to access funds from your business checking account at any time with security from microchip technology. Feature individualized purchase and cash limits, ATM access, detailed bank statement. Eliminate the burden of carrying a checkbook or the administrative hassle of a credit card or expense reimbursement. This card is great for businesses that make purchases online, have employees who travel, agricultural input purchases, maintain company vehicles, or have crews on the road with purchasing needs. 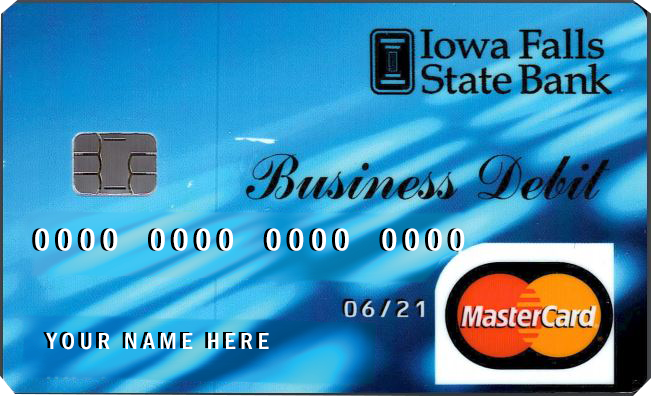 You’ll receive your business debit card about 10 days after approval of your application. When you receive your card and PIN number, please call to activate.